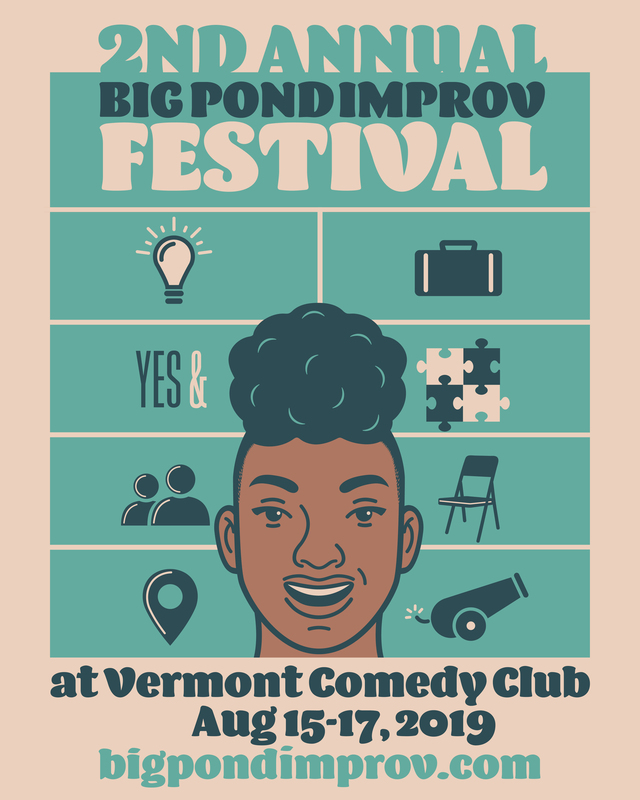 It's the second annual Big Pond Improv Festival! (AND TICKETS ON SALE) SOON! Save the Date! Vermont Comedy Club is bringing you a madcap weekend featuring dozens of teams from all around the country, performing many different styles of improv comedy. This is the second year of the festival and it's going to be a big one! Shows will take place August 15-17, 2019. Stay tuned for more details! and performed a full weekend of madcap spontaneous comedy at Vermont Comedy Club.